Daiohs Corporation is a Japanese listed company, and has been offering a variety of office services to more than 100,000 companies in Japan. Being the 7th overseas company of Daiohs Malaysia Sdn Bhd was established in August 2014. Based on the Japanese enterprise business model, Daiohs brought to Malaysia their 40 years experience of office coffee service with the ambition to provide top quality fresh brewed coffee to Malaysia offices. Once the carefully selected coffee beans from around the world arrives our manufacturing plant in Tokyo, starting from baking to production distribution and logistics, all the processes are monitored by our comprehensive quality management to ensure the highest quality coffee would be delivered to your office. 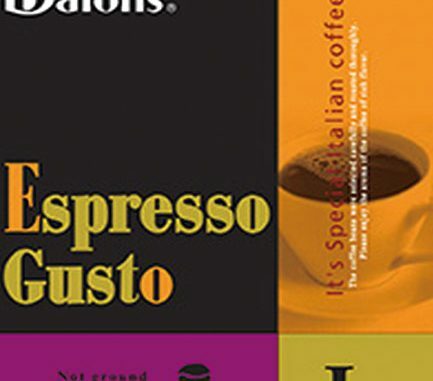 Daiohs leading as a supplier a coffee machine Malaysia as they provide coffee service in an easy and speedy process. They visit customer’s office every month to ensure their customers can enjoy delicious coffee at any time. Their customer representative would also refill the coffee bean to minimize customers hassle in inventory management. They also would periodically check the office machine and provide clean-up service. Other than giving proficient advices operation and position area, in case of mechanical failure or other abnormal situations, they would also provide repair service. Daiohs also possess the best Espresso machine in Malaysia. Daiohs Espresso machine’s equipped with auto-rinse function which comes to convenience their user. Daiohs also Commercial coffee machine rental as they know the rental of a coffee is sometimes the best way forward for a cafe or hotel owner. There are many different types of coffee machine that were supplied by Daiohs including bean to cup, instant, vending and espresso machine. In addition to coffee service, the world’s first tea server that became immensely popular in Japan is now brought to Malaysia by Daiohs. Japanese tea maker also tenable at Daiohs. With a touch of a button, you can always enjoy cold or hot Japanese tea. Besides a wide range of Japanese teas, hot/cold coffee, black tea, oolong tea and jasmine tea would also be some you choice.